In addition to being one of the most beloved dramas in the history of television, “Mad Men” also proved surprisingly adept at providing lessons for life — and in particular, lessons for living in the fast-paced world of business. Don Draper and the rest of this colorful cast of characters proved time and again that they’re deeply flawed people — as we all are — but also that they know how to get the most out of life. Season one is a particularly rich treasure trove of these kinds of lessons, for life in business and elsewhere. So let’s take a look at some of the best takeaways from what’s surely become a modern — and soon-to-be timeless — classic. “Mad Men” Lesson One: Have confidence in your work. Forget the Dos Equis guy — Don Draper is the most interesting man in the world, and he knows it. More importantly, he lets all of his worldly experience and confidence seep into the work he does at Sterling Cooper. It’s important not to confuse confidence with arrogance, though, which is a line Don crosses more than once throughout the first season of “Mad Men.” We see this in the way he treats his subordinates, even as he excels in his own creative work. Creative confidence is hard-won, that’s for sure. But it’s a struggle we all share. Take pride in what you do, trust that your background has prepared you well for the work you’re involved with and make a pitch for the angels. If you lack confidence, your partners, your clients and the world will know it. “Mad Men” Lesson Two: Know how to spot talent. Although Don teaches each of us to have confidence in ourselves and in our work, his example also proves just how important it is to be able to spot talent in other people as well. His fraught relationship with Peggy Olson, which gets off to a portentous start in season one, is the best example of this. Understanding Peggy’s arc requires more than a passing knowledge of the culture of the ‘60s, which was pretty toxic toward women. Peggy is unique among the women of the office because she’s not satisfied with being ogled as a secretary. But after overseeing a focus group, her latent talent for marketing starts to blossom. Don recognizes this, and over the course of the next few seasons, gives Peggy more and more authority in the office — and cedes more of his creative control. As good as Don is at his job, he can also take a step back and invest in other people’s talent — wherever it appears. “Mad Men” Lesson Three: Sometimes you have to create your own opportunities. It’s worth taking a look at Peggy’s ascendance from office secretary to creative lead from her perspective as well as Don’s. Although Don was instrumental in her rise through the ranks, Peggy proved again and again that she aspired to be something more. She was nearly unique among the women in the office because she knew what her talents were worth and regularly found new ways to prove how much she had to offer Sterling Cooper. She didn’t take no for an answer and never settled for the status quo. The lesson here is a simple one: Sometimes you have to create your own opportunities. If you sense that your company isn’t making full use of your potential, find a way to demonstrate what you’re capable of. 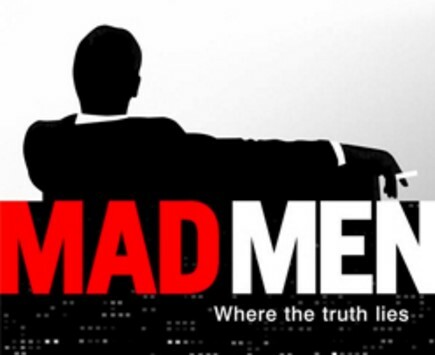 “Mad Men” Lesson Four: What drives your customers to buy. If you’re in sales, I’m sure you’ve heard that the best way to sell something is to turn it’s features into benefits. Rob Hacker identified seven emotional copy drivers to convert readers and Draper’s quote pretty much sums up two of them: Fear and salvation. Identify the threat or the problem and show how what you offer is the best solution. We will pay a lot for peace of mind. “Mad Men” Lesson Five: Company culture is important. You’d be forgiven for tossing the phrase company culture onto the pile of overused business buzzwords, and maybe you’d be right. But the thing about company culture is that if you’re aware of it, there’s probably already a problem. Company culture manifests in many ways, from hiring practices and employee benefits all the way to the topics of discussion at the proverbial water cooler. Company culture is not something that’s created overnight — it emerges over time and becomes the sum of a company’s defining characteristics. The culture at Sterling Cooper isn’t perfect. For a start, the treatment of women in the office is generally deplorable. But in many other ways, the show’s firm serves as a model for any scrappy startup. Throughout season one, company leadership shrugs off even the possibility of a corporate buyout, choosing instead to commit to their rugged individualism — the kind that helps them win the business of increasingly larger clients. It isn’t until season two that we see the consequences of abandoning this kind of hard-won company culture. “Mad Men” Lesson Six: Trust is essential. If anything, modern television has undersold the importance of trust in the modern world. Nauseating mantras like “Everybody lies” and “Trust no one” pervade the airwaves. It’s no wonder so much of the world is a mess. “Mad Men” is masterful in its portrayal of the importance of trust — as well as the devastating consequences when trust between two people is breached. For example: The less said of Don’s marital indiscretions, the better. But if business is about people, and people require trust to co-exist, then trust is absolutely essential in business. Just about every character on the show, at one point or another, exhibits remarkable commitment to their colleagues in the form of unconditional trust. Even after Don’s most dramatic secret is revealed, the people closest to him keep it in their confidence since they know it doesn’t affect who he is at work. “Mad Men” Lesson Seven: Know why you do what you do. Success doesn’t come to each of us in the same way. Some of us have the good fortune of being born into wealth, opportunity or both. Others need to carve out their own place in this world. In either case, getting the most out of life requires us to reevaluate our motives on a regular basis. Take, for example, Roger Sterling. He inherited his leadership role at Sterling Cooper from his father and almost sank the company when he failed to recognize the awesome weight of responsibility. He loved some parts of the job — the women, the money, the freedom — but ignored the one thing that’s essential to success in the business world: passion. The lesson here is to really search for your raison d’être — your “reason for being.” If you don’t feel emotionally committed to the way you make your living, find a way to close that gap. Or try something altogether new. “Mad Men” Lesson Eight: If it’s not working out, reinvent yourself. Don Draper remains an enigma for most of the first season, but we’re offered a small handful of insights into who he was before he became Madison Avenue’s most respected creative director. And what we learn shows us the power of reinvention. In fact, Don is hardly alone in seeking redemption through reinvention. It seems like most of these characters, at one point or another, make a conscious decision to course-correct their lives by embarking on a new challenge, and this is one of the key lessons we can take from the show. Maybe you’re stuck in a job you hate, or you’re in a poisonous relationship. The blessing and the curse of free will means we’re empowered to try something new — and to brace ourselves for the consequences, both good and bad. “Mad Men” Lesson Nine: Learn how to delegate. There are a lot of heavy lifters at Sterling Cooper: capable men and women for whom accomplishment is all-important in their lives. But even the most gifted creatives, entrepreneurs and businesspeople need to know how to rely on their team. Don Draper, as we’ve seen, is supremely confident in his work — to the point where, even if he’s stuck in a creative rut, he’ll shut himself off from the outside work and self-flagellate until he comes up with the answer. In season one and beyond, there are dozens of opportunities for Don to delegate a project — or even a small piece of one — to his gifted subordinates, but he often fails to recognize the advantage of this. Don’t take on the world by yourself. You’re part of a team for a very good reason: because you can’t do everything on your own. Trust in the power of collaboration. 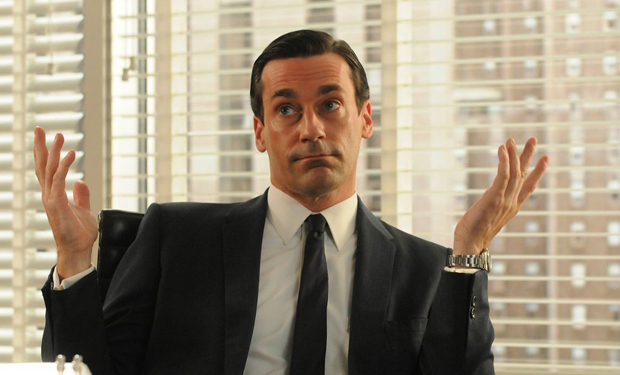 “Mad Men” Lesson Ten: Don’t underestimate the importance of emotion. Finally, a lesson in the thing that makes human beings practically unique in the animal kingdom: emotions. In the season one finale, Don makes one of his best pitches yet — this time to Kodak, who has been looking for a new name for their slide projector. Don expertly appeals to the emotions of Kodak leadership by bringing in photographs of his own family to demonstrate the projector, and eventually recommends the winning name: The Carousel. Almost everything we do in the course of our lives is informed in some way by emotion. Some people consider this a weakness, and in certain circumstances, they’d be right. But Don knows perhaps better than anyone else that knowing how to appeal to somebody’s emotions can be the easiest way to build bridges — or to secure your own ends.